If you’ve never seen the UK talk show The Graham Norton Show – shame on you, seriously. It’s on BBC America here in the states, clips (even whole shows) widely available on YouTube, so it’s not like you even have a decent excuse! Even if you’re living under a rock, on top of a mountain, or in a shoe, certainly someone you know either has basic cable or the Interwebs. Jesus. It’s like you can’t be trusted to do anything! 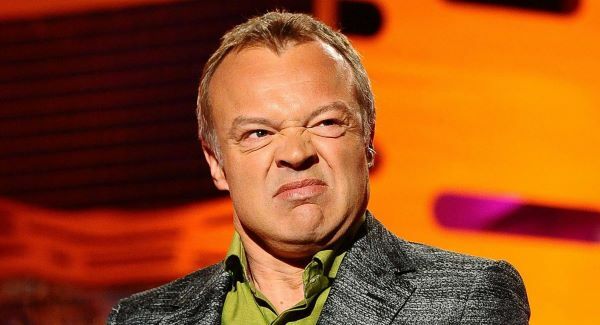 The Graham Norton Show is a talk show, yes, and Graham Norton is the host. He wears a suit, he has celebrity guests and a studio audience, the whole bit. In that sense, it’s very traditional. But…the suit is pretty much a smokescreen, cause there are no rules, there is no professionalism, no amicable host prepared to jump in and save the show. You’re out on a limb. And best of all, around Norton… no one is safe. And while I’m sure there is a script, of sorts… it seems like Norton is rarely married to it. Instead of the usual canned ‘tell me a short quirky story, then plug your latest movie’, has has real conversations with his guests – and the result is almost always six tons of fun. And I’m not entirely sure they even have an editing bay, as it seems like pretty much whatever happens in front of the cameras is what goes on the air. Maybe they were cutting the budget a few years back and decided, ‘Meh, who needs editing”? …because it all feels a little like anything goes, a little like the Wild West of broadcasting, like maybe, if Cameron Diaz does jello shots and throws up, we’ll just hold her hair back and keep going. If you’re really and truly a Graham Norton virgin… well, I’ve done all I can, at this point. I’ve given you the tools, the information, and permission to go exploring… now it’s up to you to actually go and get defrocked. You can see The Graham Norton Show on BBC America, Saturdays at 10/9c.